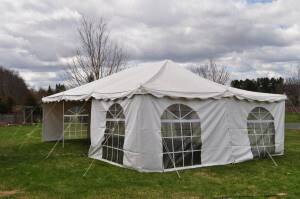 Sidewalls are $20.00 per 20 foot section for 2019 events- all sidewalls have the see-through “window” to provide more light inside the tent. The above pricing includes tent delivery, set-up, and take-down within a 20 mile radius of Dresser, WI. We do deliver outside the local area for an additional fee. There is a 20% Non-Refundable Deposit due for any orders totaling over $100.00. 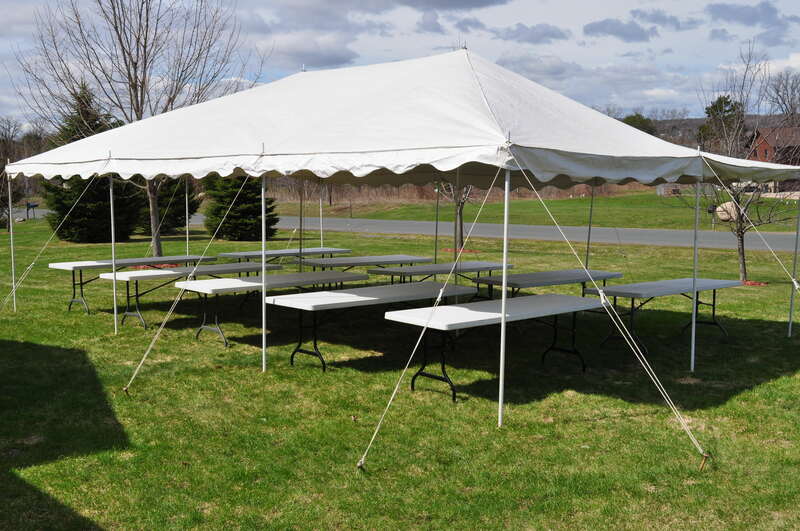 In order to Confirm date availability, please contact Celebrations Party Rental at 715-554-0781. Orders are not guaranteed without prior verification from Celebrations Party Rental. All deposit payments must be received within 1 week of verification in order to guarantee rental dates. Once payment is received, you will receive an email confirmation receipt. Only the items listed on the confirmation are guaranteed for delivery on the event date listed.